We have written in the past about Smart Manufacturing and how the world of the Internet of Things is transforming the shop floor. Across those posts, you may have found mention of another term – M2M. This post is an attempt to clear the air between M2M and IoT. M2M, which is Machine-to-Machine communication, includes all types of technology that can be incorporated in network devices which are made use of for the exchange of information. M2M is needed for remote monitoring and access to various kinds of machines for the purpose of data and information exchange. For example, in cases of product restocking, M2M communications are used in vending machines to intimate a distributor that an outlet is running out of stock for a particular product. M2M plays a vital role in the areas of manufacturing, warehouse management, remote control, traffic control, in cases of control over robots and other machines, in the management of the supply chain sectors, in the cases of marketing, management of fleets and also in hospitals and healthcare. IoT stands for the Internet of Things. This includes all those networks connecting objects and devices that function with IP addresses. This ensures connectivity of these devices and objects to the internet. IoT also includes the communications and transfer of data that takes place between these connected devices and other devices which function on internet connectivity. 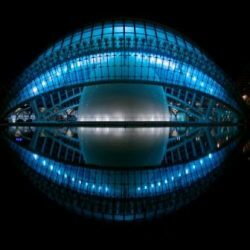 The Internet of Things has potential which goes beyond merely connecting devices like desktops, laptops, computers, PCs, and tablets. IoT devices and are embedded with connectivity technology to interact and communicate with the outside world – just like they were mini-computers or smartphones themselves. The main thing which is common between Machine-to-Machine and Internet of Things is that both of them have access to remote devices and networks. That apart, they are quite different and not be confused with each other. Here is what you should know about all the major M2M and the Internet of Things factors. Machine-to-Machine communications from one point to another point makes use of the embedded special hardware modules found in the communicating devices. Machine – to- machine also makes use of the cellular and wired network connections for the transfer of data from one machine to another. In Machine-to-Machine applications, the embedded hardware modules that ensure communication via cellular and wired networks are generally proprietary and only provide the designated services as defined by the supplier. Whereas, the Internet of Things starts with the sensors or wearables or other such devices that serve as data collection and data transmission points. The IoT then makes use of the IP based network systems and networks for the communication of data and information from one place to another remote place over the Internet. The data and information sent across is usually interfaced with a cloud or similar platform. That is the primary difference right there. In Machine-to-Machine, the ‘machines’ communicate with each other using inbuilt network hardware to communicate, control and monitor the device or the environment that surrounds it. Whereas the internet of things connects internet-enabled “smart” objects and interacts with the environment around. So, what else should one know? This difference points to a bunch of other points of divergence. It’s apparent that M2M communications are generally “point to point”, whereas in the case of the IoT the devices communicate with some kind of an interim layer (like the Cloud mentioned earlier) that serves to facilitate delivery of the collected information to the desired place. It also follows that in the case of M2M the machines may use the cellular networks of wired data networks but do not necessarily need to access the internet. The proprietary nature of the M2M devices also imposes some restrictions on integrations – only other devices that follow the same (or compatible) communication standards will be able to communicate with each other. In case of the IoT also the integration options are much much wider given the open standards. • The Internet of Things make use of sensors which consume lower levels of power and these sensors are much more passive when compared with M2M. When all is said and done, M2M narrows the focus to self-contained systems of devices, and the siloes they create of the data they create. 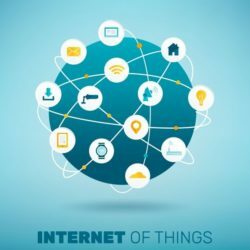 The IoT, on the other hand, takes the concept even further and brings together different types of systems communicating with each other over the internet. That said, the choice of technology does not have to be mutually exclusive – pick what works for your business need and let the machines talk to each other!